Plastic crates come in different types and sizes. 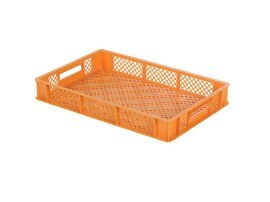 A feature of plastic crates is that they have perforated walls and sometimes also a perforated bottom. This is unlike plastic bins that are closed. So you can immediately see what they contain. In addition the openings in the walls and in the bottom ensure good ventilation. 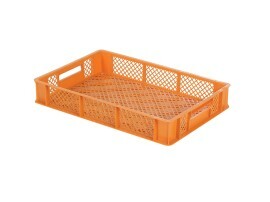 Plastic crates are for this reason often used in the industrial food sector, textile sector, catering trade and in bakeries. A plastic crate is lightweight and yet strong and stable. 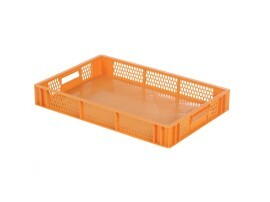 A plastic crate is also easy to clean and very hygienic. 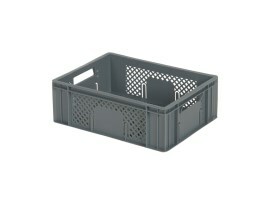 Transoplast offers a wide range of plastic crates. 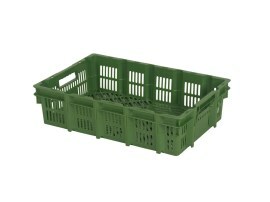 Most of our plastic crates are made of food-grade plastic and perfect for intensive and multiple use. We supply stacking crates, folding crates and stacking nestable crates in many designs and for every possible application. For example did you know that our crates are also often used in the catering trade as washing crates for glasses and cups? More information about plastic crates? Are you looking for plastic crates? Ask for a quotation with no obligation, or contact us. We will be pleased to assist you!